…Allah (Azza wa Jal) describes: innaka ala khuluq al-azheem. 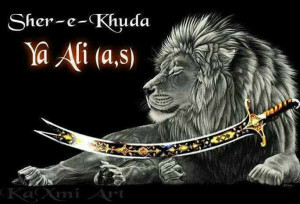 That you are of a magnificent character, love and compassion and mercy and the greatness of his character; not only to those who loved Prophet (sallallahu alayhi wa sallam) but those who came against Sayyidna Muhammad (sallallahu alayhi wa sallam). That is where the beauty of the character comes. When somebody comes against you and you exhibit your true and noble reality. That is the reality we are seeking in our lives, it is a reminder for myself only, that we are seeking that noble character, that reality. 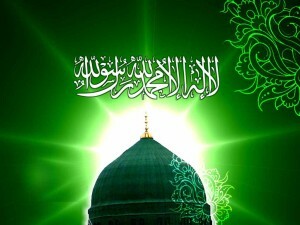 If Love Prophet (s), Why No Light Shining from the Face? Today we were talking downstairs, if all day long you tell me that you are in the sun, you are sitting and sun tanning in a halal way, but yet you have no sun on your face, for us there must be something wrong. That which you are moving towards and alhamdulillah all of us know ourselves, and people that we know, all claim to love Sayyidina Muhammad (sallallahu alayhi wa sallam) and it is very easy, because you face the physical sun all day long, you work in the sun, all day long that sun is dressing you, blessing you from its lights and its rays. The physical sun begins to cook you. Imagine the spiritual reality of the light of Prophet (sallallahu alayhi wa sallam)? That the light of Sayyidina Muhammad “Noorul anwaar wa sirr al asrar”, (The Light of the Lights and The Secret of the Secrets), is more powerful than we can imagine from this (daylight), this sunshine. So imagine if you are facing Prophet (sallallahu alayhi wa sallam), what type of character, what type of beauty, what type of akhlaaq (character) would be exhibited? Because that which you face, his nazar (gaze) is upon you (alayhis salaat o salaam). It should be dressing the reality of that person, it should be making them to be Noorani and should be perfecting their character. Awliyaullah come into our life, always (giving examples of) the moon and the sun, the moon and the sun, the moon is responsible for the tarbiya (building character/manners). Means those who are qamarun, qamarun [O Moon, from a Nasheed], those whom Allah (Azza wa Jal) perfected and chosen for them, they are the reflections of Prophet (sallallahu alayhi wa sallam) on Earth. Their nazar, their entire being, their entire focus is to make Allah (Azza wa Jal) happy by following Prophet (sallallahu alayhi wa sallam), by loving Sayyidina Muhammad (sallallahu alayhi wa sallam), more than they love themselves. They are the full moons of guidance, reflecting that light and as a result Prophet (sallalahu alayhi wa sallam) makes them in charge of their (followers) tarbiya. Just like the physical moon, that raises the vegetation. And everything can only take a very short audience with Prophet (sallallahu alayhi wa sallam). The sun comes and makes everything to be sweet and continues on its journey. It means the moon is responsible for the tarbiya and bringing up and raising. What they want from us as an understanding is that if we are facing that reality we should be dressed from that reality, beautified from that reality of Prophet (sallallahu alayhi wa sallam). And the character that that one should exhibit is a very loving and noble character. That is the light of Prophet (sallallahu alayhi wa sallam) within their hearts and in their being. The tarbiya and the testing in life is constantly coming into our existence to teach us that without the testing, you don’t give up your negative characteristics. Like two elements trying to make a bond. When an element is trying to make a bond it has to release an electron or two or many. 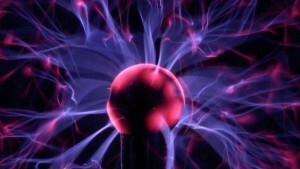 Without the release of the electron, which is the negative characteristic, a bond cannot be made and they begin to teach. That is why the turuq (Islamic spiritual paths) and the Way of haqayiq (realities), are based on teaching students that our life is continuously under imtehaan, and testing. How we succeed in that test is going to determine our proximity to the reality of Prophet (sallallahu alayhi wa sallam), to that light. If we cannot release the bad characteristics; it doesn’t mean that we don’t have bad characteristics, but if through our prayer and worshiping and our attendance and all that we are doing, that test comes into our life. Then you have to analyze: yaa Rabbi let me pass that test and to release that bad characteristic. When the bad characteristic is released, means it is as if you weren’t tested, you have no animosity in your heart, you have no anger in your heart. You have no rancor within your heart that, “Why did it happen like that?” Why did he say like that? Why did he do like this? Whatever it is, if you remain angry, you remain upset and you exhibit the characteristics of being angry and upset, that test wasn’t passed. If that test wasn’t passed, there was no bond to be made, no ascension to be brought closer. And that is why they stress and that is why they teach. At other places, if they don’t understand that reality then they don’t teach it, but the Way of haqayiq and the Way of marifa’h (Gnosticism), is that they are teaching us that these negative characteristics have to be released. If you hold on to them it distances you from that reality. So tests come in our lives, the teaching, the tafakkur, the Zikr all of that is meant to build the character, I am ready. At least three times a day the nazar (gaze) of Awliyaullah is going to come into your life. 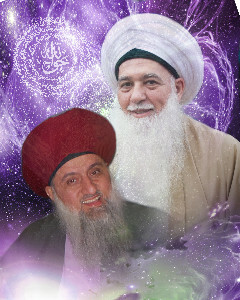 At least three times a day their nazar is upon your life, their gaze, your shaykh’s gaze comes upon your life. As soon as the Nazar (gaze) comes upon your life, it is a heat and an energy. That energy flips everything upside down. It is like somebody turns the heat up under the pot and everything begins to cook! The nazar doesn’t come and bring jamali, it brings jalaali because the nazar is a nazar of fire and heat, divinely fire, not the fire of jahannum (hell) but Allah (Azza wa Jal’s) Divinely Power. You study this when you study the atoms. 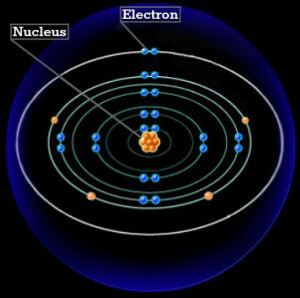 These electrons cannot move closer to the center without a force from the nucleus. The nucleus actually sends a powerful force which hits the electron and makes the electron to jump a ring closer towards the center. It is the Way of marifa`ah. If not for their nazar, their nazar comes at least three times a day into our lives. As soon as the nazar, by permission of Allah (Azza wa Jal), by permission of Prophet (sallallahu alayhi wa sallam). That as soon as that gaze comes into our life, things become heated. At that moment they want to know how are we going to react in that heat? Does it exhibit all the bad characteristics or do they exhibit good characteristics? Are they using all that they have been trained in tafakkur, in contemplation and Zikr and wudu, keeping everything to be calm, keeping everything to be patient? Then trying their best to exhibit the best of characteristics, so their darajat can keep and continue to climb? But if a test comes and we become angry and a big test comes and we become angry with the Way, angry with the shaykh, and angry with Allah (Azza wa Jal). Anytime somebody is angry with the shaykh, they are angry with Prophet (sallallahu alayhi wa sallam). They (shaykhs) are merely a reflection. If they (followers) are angry with Prophet (sallallahu alayhi wa sallam) astagfirullah, they are angry with Allah (Azza wa Jal) astagfirullah al-azheem wa atubu ilayh (Allah forgive us and accept our repentance). Means who are they angry with? and for what? They say if you sleep on that, sleep on that, the third day you are like dead and the only thing that will take your anger is the grave! Because it is not going to wash from the person, they are going to continue to carry it and they become a very angry person in the Way, and the only thing that takes that away is the dirt of the qabr. When that nafs died and they threw dirt on it, it realized what it did wrong in the way of Sayyidina Muhammad (sallallahu alayhi wa sallam). Means there is continuous isharat, continuous teachings that don’t let that anger enter into our hearts. 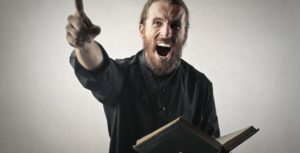 Don’t enter into the way of anger where you exhibit anger, your spouse has anger, everybody is angry. Then you become angry with the Way, angry with everything they described. This Way is to rid ourselves of bad characteristics. When these bad characteristics are taken away the bond becomes closer with Prophet (sallallahu alayhi wa sallam). Every time a characteristic is taken away, the bond becomes closer with Prophet (sallallahu alayhi wa sallam). And there is no characteristic which we want to keep. You say, “No, no that’s the way I am.” No, no, it can’t be the way you are because Alah (Azza wa Jal) knows His Creation. Allah wouldn’t test beyond the ability of that servant so there must be something within that servant Allah (Azza wa Jal) wants to be brought out. He made me and knows exactly what I am capable of, what my limitations are, my entire being Allah (Azza wa Jal) knows it. When Allah (Azza wa Jal) wants something from us, all the testing begins. We pray that in these holy months that understanding becomes more and more clear, that gives us an understanding of our entire Way. When you look around so many people claim to love Sayyidina Muhammad (sallallahu alayhi wa sallam) but they have no sweetness of character. All the knowledge in the world and all the memorization and `amal in the world has no value if the character is no good. If there are no manners, if there is no quietness and humbleness and especially in regards to ulama and to the shaykhs. Prophet (sallallahu alayhi wa sallam) warned us of a day when the young would insult the older ones. They would exhibit (character) as if they know everything and the older ones know nothing. Even amongst the ‘ulama, they have young bearded people going and talking so badly against established ulama and scholars. That is a great sign of the Last Days. They exhibit knowledge and they have things memorized but they have no more akhlaaq (manners) and good characteristics. There is no more a school of akhlaaq. Our Way is a very subtle, beatific Way that is a lost way. They even teach children in most of these countries to give an address and bayan with yelling and screaming. They teach them when they are small that go stand up and give your bayan and scream. Sayyidina Abu Bakr as-Siddiq one time, just for us to know, raised his voice in the presence of Prophet (sallallahu alayhi wa sallam) and Prophet got up and walked away. He was shocked and ran after him, “Yaa Sayyidi, yaa Rasulullah where are you going?” He (sallallahu alayhi wa sallam) said, “As soon as you raised your voice Shaytan became present. And I can’t be in the presence of Shaytan.” It means the akhlaaq is gone. That science of (good) characteristics is only held by the turuq (Islamic spiritual paths). 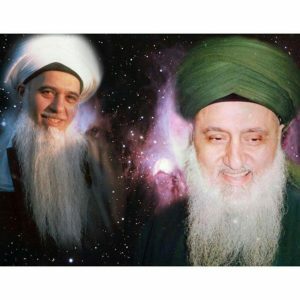 They inherit and teach through all of their teaching, through all of the Zikr, through all of the mehfil, through all of the examples of their teachings, is to keep good characteristics. Don’t cheat, don’t steal, don’t raise your voice, don’t teach people with harm. Teach with love and harmony, and be soft upon their hearts to draw them closer to you. And not to throw them into the hands of shayateen (devils). Means this Way is a completely different way, a lost way. Now what is being exhibited around the Earth is yelling and screaming. They feel they are lions of Allah (Azza wa Jal) because they yell, scream and they roar, but these are characteristics of Shaytan. They exhibit a characteristic that is not proper and not correct. Now look, the debates at lectures are like chicken fight. It is not for Allah (Azza wa Jal) and not for guidance. It is just to exhibit the worst characteristics possible. That is what Tariqah is. They pray the same, they fast the same, there is no magic in it, but with good manners everything becomes valued to Allah (Azza wa Jal). When you exhibit good manners, your salat has a value to Allah (Azza wa Jal). When you exhibit good manners your bayan (speech) and teaching has a value to Allah (Azza wa Jal), and has a barakah and a blessing. When you exhibit good manners your fasting is accepted by Allah (Azza wa Jal). Imagine having bad manners, horrible characteristics and going for salah. What are you praying for when Shaytan is already inside of you, blocking every `amal and every action that the person is doing? Every bayan you give, Shaytan is already within you. The people don’t hear it, and that bayan does not reach because Shaytan is inside of that action already. The turuq come to perfect the character. That just do your Zikr and do your mehfil in the love of Sayyidina Muhammad (sallallahu alayhi wa sallam), the more you love Prophet (sallallahu alayhi wa sallam) the more Prophet begins to love you. If you begin to love Prophet (sallallahu alayhi wa sallam) more than you love yourself, that light of Prophet (sallallahu alayhi wa sallam) begins to dress you. Means that presence, and that light, and that reality is so dear for those who have consciousness of all their senses. That they are conscious of what Allah (Azza wa Jal) wants from them. That consciousness, that light and that presence and that fragrance of Prophet (sallallahu alayhi wa sallam), is more dear to them than even themselves. And they try their best not to loose that presence by exhibiting the best possible characteristics. Even to the extent that they put harm upon them, people put harm upon them and they are consistent in their practices. They have istiqamah, and firmness in their belief and keep moving towards the love of Sayyidina Muhammad (sallallahu alayhi wa sallam). We pray that Allah (Azza wa Jal) bless us and dress us from these lights and open for us the reality of the turuq and the Way of reality, that they are the highway to the heart of Sayyidina Muhammad (sallallahu alayhi wa sallam). In the holy month of Rajab opening in couple of weeks. And the beautiful celebration tomorrow night of the holy birth of Sayyida Fatima az-Zahra (alayha ‘s-salaam), the love of Sayyidina Muhammad (sallallahu alayhi wa sallam). If you want Allah’s love follow Sayyidina Muhammad (sallallahu alayhi wa sallam), but if you want Sayyidina Muhammad (sallallahu alayhi wa sallam ) love his family and companions. We pray that Allah (Azza wa Jal) gives us life to see tomorrow night and that He forgives us and dresses and blesses us. Subhaana rabbika rabbil izzati `amma yasifoon wa salaamun `alal mursaleen wal hamdulillahi rabbil aalameen. Bi hurmati Muhammad al-Mustafa wa bi siri surat al Fatiha.